From time to time I get requests for cards for occasions I haven't got around to designing for. Recently a friend asked for an engagement card for his sister and I was so excited to be able to set about designing this card just for him. I get the most enjoyment out of card making when I have the recipient in mind (or in this case, the client). It means I can think of them while I cut and stamp and I feel the card turns out better with that little pinch of love! This a 5.5" x 5.5" card made from Whisper White card stock. 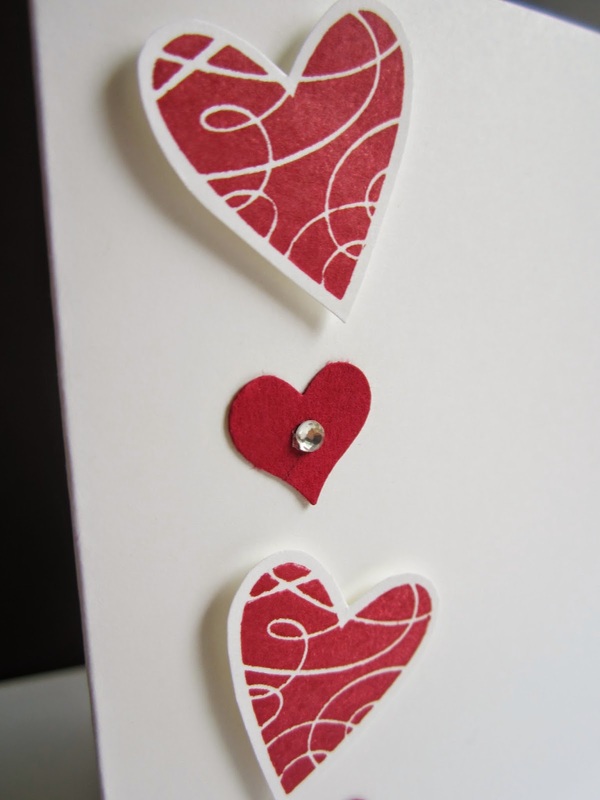 The three hearts are stamped from a random stamp I have in my box in Cherry Cobbler and then hand cut out. I LOVE my paper snips for this kind of work, they are so sharp and allow for quick and intricate cutting out. 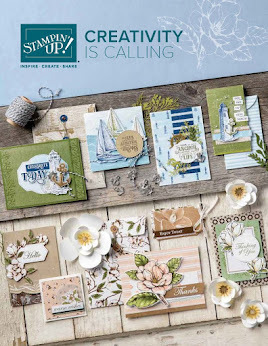 They are then popped up using Stampin Dimensionals. I punched out the two smaller hearts from Cherry Cobbler card stock using the heart punch in the Itty Bitty Accents punch pack and added rhinestones for sparkle. These are stuck straight onto the card. And finally (well actually I did this first...always do your stamping first up) the congratulations stamp in Cherry Cobbler from the A Word For You set (sadly retired). Now for this I only inked up half of the stamp because I just wanted "Congratuations." It's hard to see in the photo but it is actually embossed with Versamark and clear embossing powder just to make it contrast better. I finished it off with a tiny rhinestone for that final touch of bling.